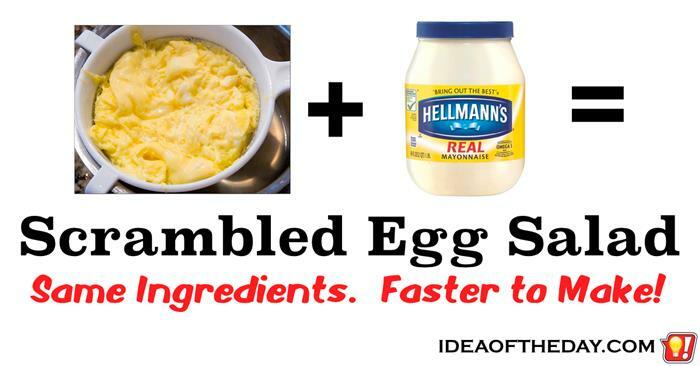 Scrambled Egg Salad. Same Ingredients. Faster to Make. Love egg salad... but hate the wait? Although there are a number of ways to make egg salad, just about all of them involve boiling water and waiting for the eggs to turn hard. One day, I decided to save some time and try something different, so I just scrambled the eggs instead. You know what? It was pretty good. While I can't say it had the exact same taste, it wasn't that different. The main difference in the taste comes from the butter I used to fry them. I happened to like the butter, but you could eliminate that difference by using PAM or a non-stick pan. The texture was a bit softer, but if you cook them a little longer, it's pretty close. 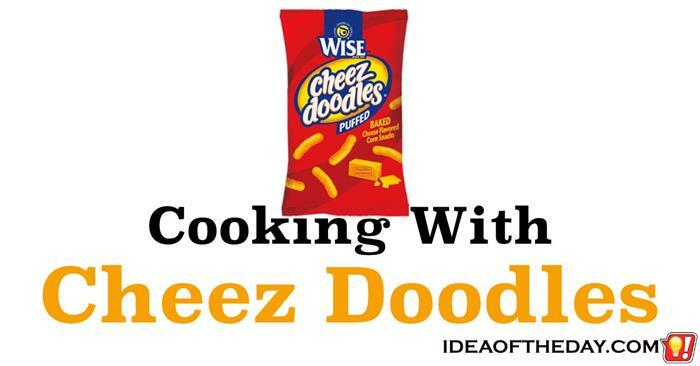 Cooking With Cheez Doodles ... Crunchy... and Cheesy. Next time you reach for the breadcrumbs... grab some Cheez Doodles instead. One of the best ways to turn an average dish into something completely different is to change one of the ingredients into something completely unexpected. The result is something familiar, yet just different enough to make it interesting. Substituting breadcrumbs with something else is one of my favorite things to experiment with. That often leads me to some oddball combinations... some of them work... some don't. This is one of the good ones. Here's something you never see... pre-mixed Ketchup and Mayonnaise. It seems pretty odd to me. It's not an exotic recipe, and the ingredients blend together quite well. In fact, a lot of restaurants already serve hamburgers with both ketchup and mayo... so why not sell a mixture of the two already combined? If so many people already mix the two ingredients together, why doesn't any major food company package them pre-mixed in bottles or take-out packets? Europeans like mayo on their fries, Americans like Ketchup... why not have both?... at the same time?